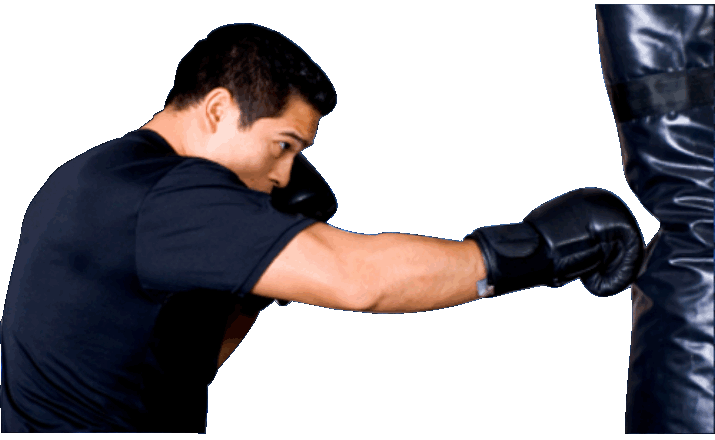 Get Fighting-Fit while learning Effective Self-Defense Techniques & Strategies. There is a Difference between being in Treadmill Shape and being in Fighting Shape! While you will get lots of exercise in our class, it is not an "exercise" program. Unlike a gym, you'll get into great physical condition by executing and practicing the martial arts movements that you learn in class. The great thing is, these movements have a purpose over and above just getting you in shape. You'll be learning "Reality-Based" Self-Defense, not those stiff, traditional-looking karate moves you've seen. The techniques are easy to learn and execute, and are very effective in a Real-World altercation. Chokes / Holds / Punches / Kicks / Club Attacks / Knife Attacks / Gun Attacks / Ground Attackes / Deadly Force / Multiple Attackers / and much, much more. As you progress in your training, you'll have the opportunity to advance in rank and learn more advanced movements and combinations. This allows you to continuously challenge yourself physically and mentally. While you will be learning and practicing Serious Martial Arts Movements, Safety is of highest priority. You will not be subjected to "Cage Matches" or dangerous and painful activities. The physical interactions with instructors and other students are always controlled and supervised. 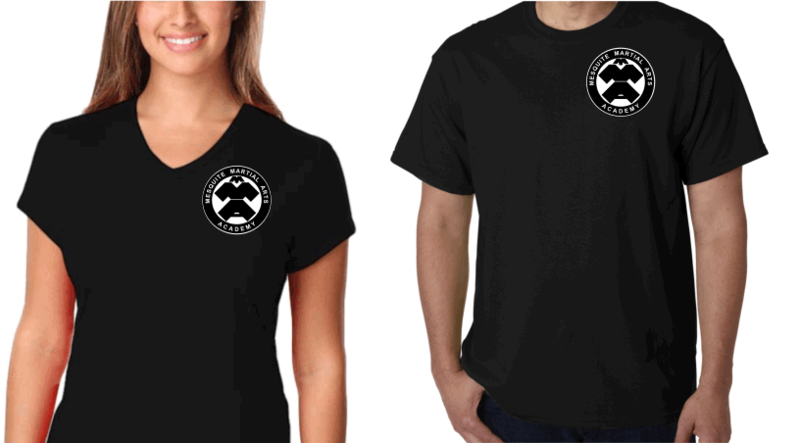 Rather than the "traditional" martial arts uniform, you'll be wearing our school T-Shirt & Pants, and special Mat Shoes. Our adult students love this as they do not have to wear those white "pajama" looking uniforms. This also allows you train in attire that is more comfortable and which you can wear anywhere, should you need to stop by the grocery store on the way to, or from, class. Our adult classes are "Straight Forward." There is No Bowing, No Rituals and No Saluting or Bowing to Foreign Flags. We do not infringe upon anyone's political or religious beliefs.